MAGIX Movie Edit Pro 2019 is a powerful video editor which comes packed with essential functionality. 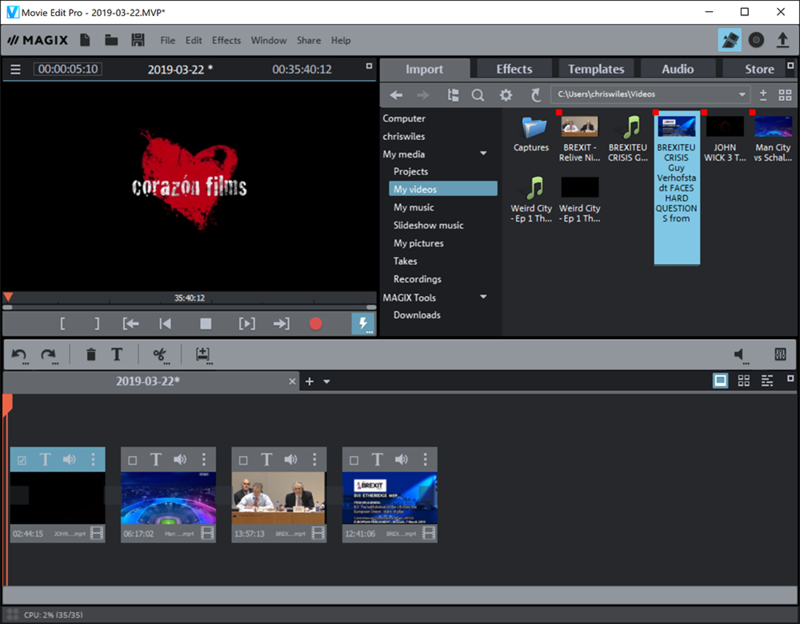 Video novices might start with StoryBoard mode, a simplified interface which shows only the key editing tools. A Soundtrack Maker uses the program's built-in sound archive to generate a soundtrack for you, and the Slideshow Maker can analyze your footage and transform it into a finished video all on its own. More experienced users can take manual control, organising their movie across 32 tracks, and editing down to frame level, applying new image stabilisation software, powerful colour correction tools, accurate chroma key technology, a versatile sound editor, and a host of highly configurable transitions and effects. Once you're happy, the finished movie can be exported as a video file, transferred directly to a mobile device, burned to DVD or Blu-ray with your own custom menu design, or uploaded to Facebook, YouTube, Vimeo and more. 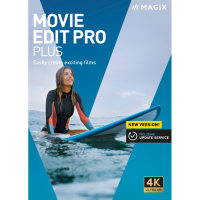 MAGIX Movie Edit Pro 2019 Plus, listed here, extends the program with a 99-track timeline, multi-cam editing, import and editing support for 360 degree video, beat-based editing to help your footage match the soundtrack and secondary colour correction. And MAGIX Movie Edit Pro 2019 Premium further adds a host of lens correction presets, auto contrast, hue adjustment and RGB colour shift, "Bleach Bypass" for a vintage film look and enhanced video stabilisation which is essential for editing sports video.